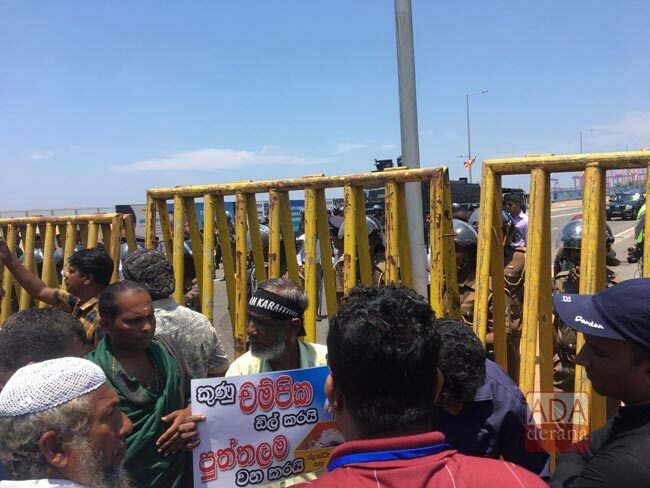 The Galle Road is currently temporarily closed off in front of the Presidential Secretariat due to a protest at the Galle face Green, stated Ada Derana reporter. Reportedly, the protest has been launched to object the proposed garbage dump at Aruwakkalu in Puttalam. The protestors claim of irregularities of the relevant waste management project in Aruwakkalu. Heavy traffic congestion is also reported from the area, due to the protest.